Irida is the cultural association of the Athenian University students. Here everyone, student or not, can take part in seminars about everything connected to the art of cinematography. 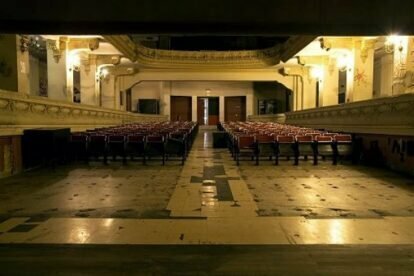 But besides all the cultural overload you will find in the building, you will also come across the ultimate (in my opinion) cinema: Irida. Almost everyday you have the chance to watch cult-movies that otherwise you would probably not have the chance to see in the big screen, for free. Check out the website of the association for information on the program. It is updated weekly. Tip: The parties they organize from time to time are not bad either!